The new owners of one of Scotland's most remote restaurants say their business is being threatened since a train derailment in June. At 1520 the northbound service for Fort William pauses at Corrour. 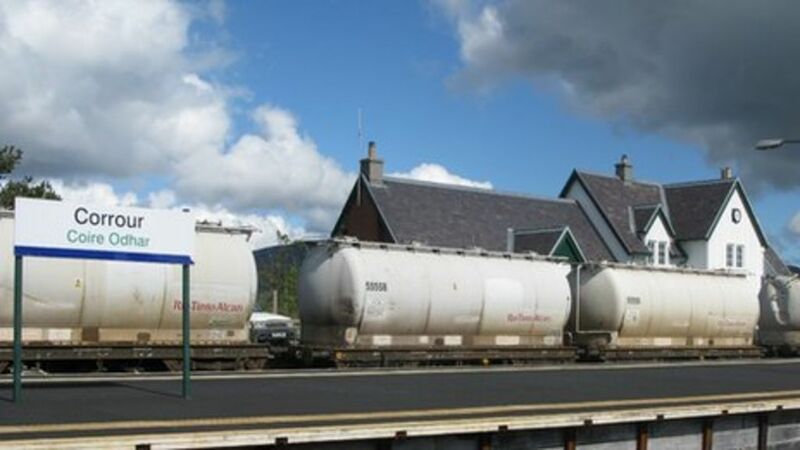 It's been 15 years since I was a regular user of Corrour and the new station house and a waiting room on the platform are distinct improvements over the old Mansard roof house and no shelter whatsoever. Pity there's no door on the new waiting room. Probably the loneliest loop in Britain - a lightly-loaded northbound freight creeps through Corrour in 1998. The morning train from Fort William to Glasgow Queen Street approaches a cold and snowy Corrour Summit in the winter of 1974/5.